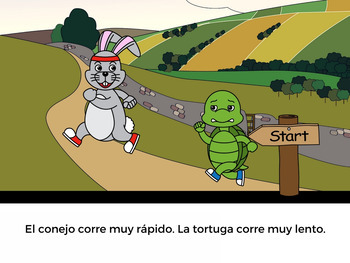 The Tortoise and the Hare, told in picture-format in Spanish with activities and ideas for teaching. (See just the online story for free, along with 9 other fables.) 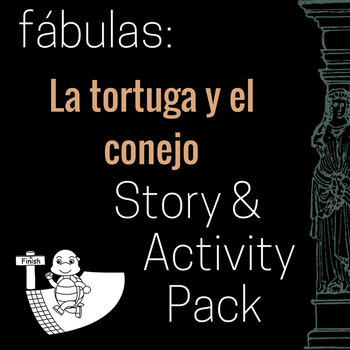 The fable is retold in Novice-Low to Novice-Mid Spanish, using high-frequency vocabulary and structures. (Hence the words turtle and rabbit.) These stories are a great resource for providing comprehensible input in your Spanish classes! 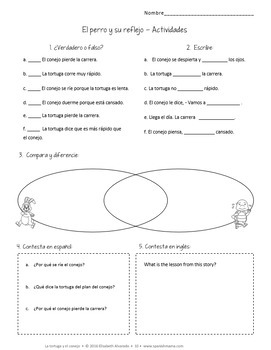 Download the activities for El gato y la campana to get an idea of what my story packs are like! Students (even the older ones) love these classic and clever stories. Fables are great for rich discussions and asking higher-order should and why questions. 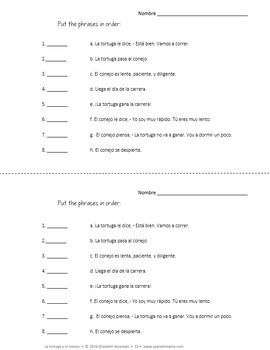 It's easy to stay in the target language when you have material that keeps your students' attention and includes highly visual content.